From Anonymous of Somerville, Massachusetts on 5/18/2017 . Sign is as shown on the website and good quality! From Christine Ciardi of Clifton Springs, New York on 10/17/2016 . My husband was so excited. He proudly will display it. Before the tin sign he cut it out of the 6 pack package! 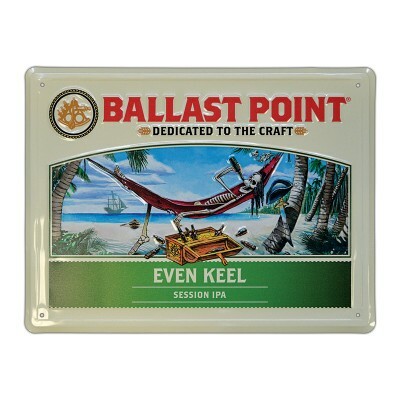 Thanks Ballast Point for adding some class to it putting it on a TIN SIGN! From Anonymous of Rock Island, Illinois on 5/1/2016 . Order came quickly. Was packed very well. Wish they would do a sign of each of the labels of their beers.